Who says waistcoats are reserved only for formal events? Ruben Galarreta is back with their unflinching motto of expecting the unexpected! 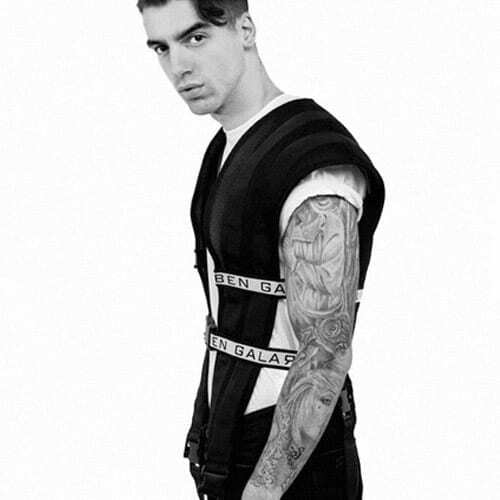 This military waistcoat is a super edgy take on the otherwise humble silhouette. It has harness inspired tape detail covering the torso bearing the eponymous brand name. This style is very versatile as it can be styled in endless ways. You can decide to bear it all and wear only the waistcoat or pair it with a jumper or a simple white tee.If the former 1D heartthrob Zayn Malik decided to take a hip-hop turn, you can expect him to pick this first. If you want to channel your perfect hip-hop inspired street style look, then you know where to head! We have a shout out to all the punk rock princesses out there! This harness leggings and chest harness combination scream just one thing-Slay! The all-over letter print harness is definitely OTT and very Lady Gaga-esque, which also make it very risque. 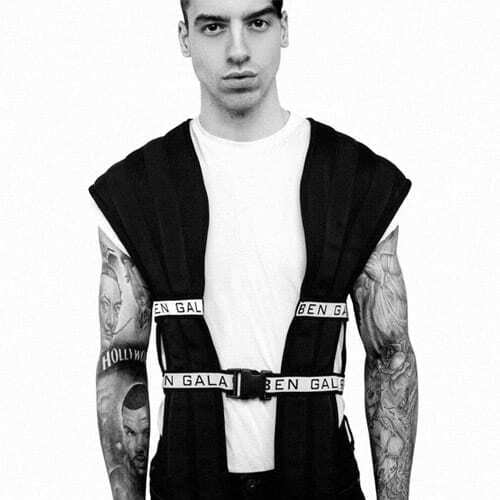 You can give an interesting twist to your otherwise boring white shirt by sporting this harness. You can also wear it with a deep plunge jumpsuit. And finally, who can you hear anyone screaming for faux leather jeggings? If you love attention and want to make a statement, grab the harness is what we say!